In 2016 Erin Redfern shared the Poetry Society of America's Robert H. Winner Award with Metta Sama. 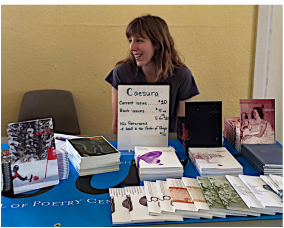 She served as the poetry judge for the 2015 and 2016 San Francisco Unified School District Arts Festival and as 2015 co-editor for Poetry Center San Jose's print publication, Caesura. Redfern earned her PhD in English at Northwestern University, where she also worked as a Fellow at the Searle Center for Teaching Excellence. After returning to the Bay Area she taught in the English Department at St. Francis High School and at The Harker School. She currently teaches writing as a tutor, workshop leader, and poetry mentor.